Having become the happy owner of new plastic windows, many apartment owners are faced with a rather unpleasant phenomenon - the windows that served well in the summer and early autumn began to mist over with the onset of cold weather. In private homes, cottages and offices such trouble is less common, but it can not be completely excluded. Contrary to erroneous opinion, fogging is not associated with the quality of windows (most often), but only with errors during installation and operation. Probably, everyone noticed how with the advent of PVC windows in the house it became quieter and warmer. Especially when all windows and even some doors are replaced. But few people pay attention that it became necessary to ventilate the premises more often, if you don’t open the window, it becomes harder to breathe, elderly people feel worse, more often there is an unconscious need to go outside. The fact is that the installation of metal-plastic structures radically changes the microclimate in the house - natural gas exchange, which was carried out by means of wooden windows with cracks in the frames , so annoying users, broken, and not for the better. Moisture and carbon dioxide emitted during the breathing of people and domestic animals, cooking, plant life, is not fully removed by ventilation devices. The natural circulation is violated, for which the ventilation systems of apartment buildings and of many private houses were calculated. As a rule, exhaust and intake ventilation is not provided here, all hope is only for the natural movement of air. When installing metal-plastic windows, the air flow from the outside decreases by 5 - 10 times, as a result, the concentration of moisture and carbon dioxide in the room increases. Of course, the increase in the content of these substances in the micro-atmosphere of the house is somewhat lower - sometimes the doors and sash windows open, but the concentration of moisture increases two to three times unequivocally. This is not a complete answer to the question of why plastic windows sweat, but only part of it. How the dew point temperature (thermometer reading at which moisture condensation starts) depends on the humidity level is shown in the table. 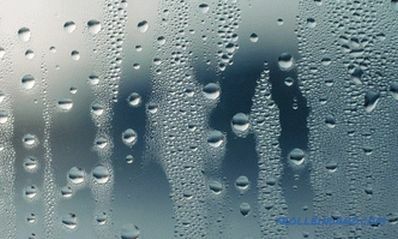 The picture is clearly seen when dew on windows' windows appears earlier when the humidity increases. This causes misting. Assessment of the microclimate can be both subjective and objective. To correctly determine the cause of fogging of windows in windows, it is necessary to make an objective analysis of the air condition in the room, that is, using instruments and a standard measurement technique. Subjective sensations are often deceptive - someone is comfortable at +16 0 C, and the other freezes at +20 0 C. Therefore, we arm ourselves with the necessary tools - a thermometer and a hygrometer. First you need to measure the temperature of the air in the room. This is done in the center of the room at a height of more than 1 m from the floor, approximately in the middle of an imaginary vertical line drawn from the ceiling to the floor. Readings should be in the range of +18 - +22 0 С. 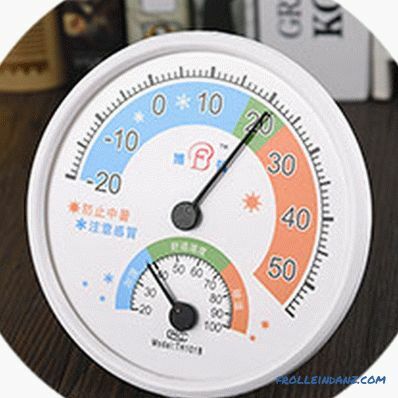 Many manuals recommend to proceed from +20 0 C, but the temperature in the house is very individual, many people feel uncomfortable at this temperature, so deviations are quite acceptable. Relative humidity is measured at the same point as the temperature of a special device - a hygrometer. Now on sale there are electronic hygrometers, which are quite inexpensive, but show the level of humidity with a fairly high accuracy. 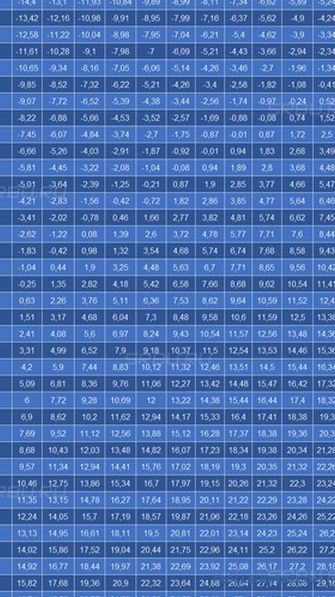 Even some smartphones are equipped with programs for this type of measurement, but practice shows that there is no reason to hope for accuracy of readings. The table above shows at what combinations of temperature and humidity does dew appear on the glass. For example, the temperature in your room is + 20%, and the humidity is 60% (which is much higher than normal). In this case, dew on the window will appear when the glass unit is cooled to +12 0 С. This can happen even with relatively small frosts around -10 - -12 degrees. At 40% humidity and the same temperature, the dew point drops to + 6 0 С, This is glass cooling in a glass unit already requires about -18 0 C and more. The sufficiently high thermal conductivity of the glass determines its heating from the side of the house, but it also cools from the street quite intensively. But, taking into account the fact that the bag is sealed and an absorbent is poured inside it, it cannot fundamentally mist inside the glass pack, unless it is allowed to be worn during assembly. Frosted glass on the side of the room is possible with a single-chamber double-glazed window with a thickness of up to 8 mm and humidity in the house above 45%.The optimum humidity is in the cold season within 30 - 45%. If it is below 30%, then the air is too dry and can irritate the mucous membrane, with a higher one, it threatens not only with fogging of glasses, but also with the active development of pathogenic microflora and the threat of mold in the corners and abutting walls to the floor and ceiling. Having found out why plastic windows are sweating from inside the apartment, it is necessary to work out a strategy for how to deal with this phenomenon. There are only two reasons for the appearance of dew on the windows from the inside - high humidity and low temperature in the window area. The glass is not warming enough and is cooled to the dew point. Eliminating at least one of the reasons, you eliminate the possibility of fogging. Provide heat to the window area. All these tasks are accomplished without much financial effort (in most cases), but sometimes more radical intervention is required. 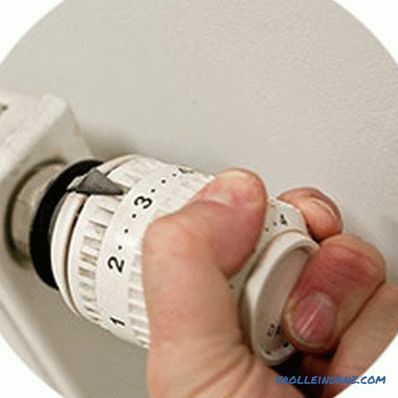 The easiest way to do this is if the apartment is equipped with an autonomous heating system. In this case, it is sufficient to correctly adjust the boiler and open the adjustment valves on the radiators located under the windows that are prone to fogging from the inside. If dew appears inside a double-glazed window - then this will not help - it is necessary to change the double-glazed window. If the window is under warranty, there will be no problems, worse - if it is purchased on the market from unknown sellers. install an additional fan heater. Sometimes the room is warm enough, but the windows still sweat. In this case, you can replace the curtains with less dense ones or install a narrower window sill that does not block the path of warm air from the battery to the window. The most effective way to reduce indoor humidity is regular ventilation. Even if the relative humidity is higher outside, it will have a positive effect. There, the air temperature is always lower than in the room, which means that the composition of the air has a lower water content. When measuring humidity in a room, we determine only one value — relative. It is obtained by dividing the other two indicators, the absolute actual and absolute permissible at a given temperature and multiplied by 100. The first figure, actual, shows how much water is in the atmosphere in g / m 3 At the moment. The second is how much it can be theoretically before the start of condensation at a given temperature. The less air is heated outside, the less water in it is in real measurement, even at higher relative humidity. When the drier external air enters the room, it mixes with the internal air and "drains" it. This is all the more useful since fresh oxygen also enters the house, which favorably affects the general condition of the microclimate. When airing an apartment in the winter, it is possible to reduce the relative humidity from 50 to 30 - 35% without unnecessary financial costs. It is enough to periodically open the sash for 10 - 15 minutes. But in extreme cold this method is not only inconvenient, but also unsafe for both the people in the house and the window itself. You can easily catch a cold, and on the window there is a risk of ice on the seals and even their rupture. In the cold, rubber, silicone and TPE become more rigid and can easily be damaged. 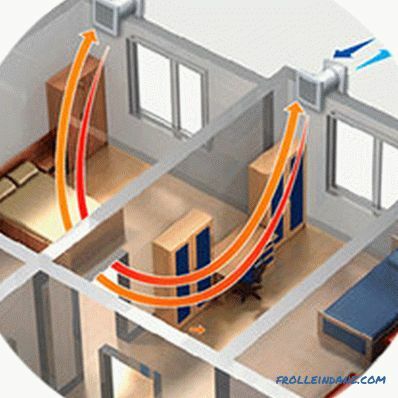 A more modern and practical way of organizing air circulation is forced-air ventilation. This will require the installation of the inlet valves and adjustment of the exhaust operation. Without much effort, you can restore the same ventilation mode that worked with old wooden windows. Normal is air exchange in a volume of up to 30 m 3 / h per person living in the house. It was with this calculation that standard multi-storey houses were built, in which plastic windows were most often misted. After all, they were designed under wooden windows, which, as already mentioned, do not differ in high tightness and allow sufficient external air inside. The first step is to check the operation of the exhaust system. It is quite simple to do this - open the sash of any of the windows and attach a sheet of paper to the exhaust ventilation hole in the kitchen, bathroom, etc. If the air flow presses it to the decorative grille, the ventilation works properly.In case of insufficient flow force, installation of an additional exhaust ventilation channel is necessary. The optimal place - the outer wall of the kitchen. Both the regular adjustable grille and the forced system with an electric motor are relevant here. The next step is to check the ventilation gaps of interior doors, especially those leading to the kitchen, bathroom, and toilet. Between the floor and the lower edge of the door leaf there should be a gap of at least 1.2 to 1.5 cm in height. 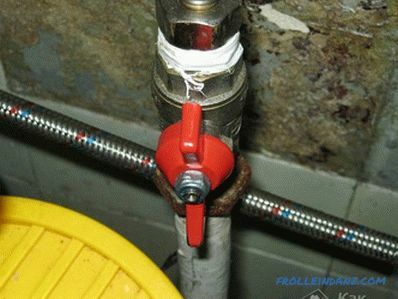 If it is not there, install special relief valves. 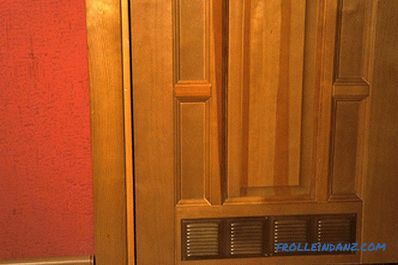 They do not spoil the appearance of the door at all, but they greatly influence the microclimate in the house, leveling the characteristics of the atmosphere in all the rooms. Long thick curtains, grilles, window sills lined with flower pots and tables and sofas pushed against radiators also actively interfere with air circulation, the distance to the nearest piece of furniture from the radiator plane should be no less 45 cm. 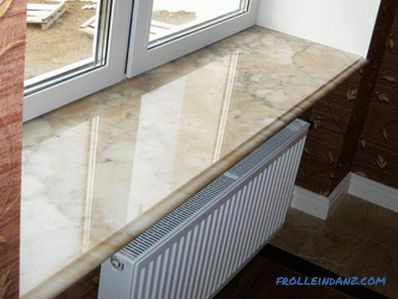 Sills should also not protrude above the upper cut of the battery, it is best if they are no more than 1 - 2 cm wider than the wall, in this case, convection currents move along the desired path and ensure proper heating of the window . But without fresh air, all these tricks will not allow you to achieve a full result. The organization of forced ventilation, and constantly operating is necessary. 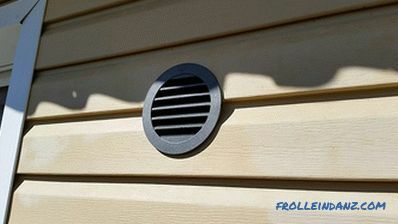 The main role of inlet ventilation is to provide access to the interior of the colder, but also of the drier external air, both in summer and in winter. Do not be afraid that the house will be too cold. If you had warm wooden windows, then it will be comfortable with metal-plastic ones with additionally installed channels of fresh air intake. The difference will be 1 - 2 degrees downward on very cold days and practically will not be noticeable in normal. The course on the complete sealing of apartments by means of metal-plastic windows, which was advertised as one of the main advantages of these structures, gradually changed in the opposite direction. Manufacturers, of course, did not publicly admit their mistake, but in most European countries it is not allowed to sell and install PVC windows without an air exchange system. But windows with built-in microventilation systems have appeared on the market relatively recently, and windows, which have been in use for more than one year, usually sweat. How to be in this case? Installing an air conditioner is an unpromising way. The vast majority of these structures are designed not to recirculate the air in the room, without taking fresh air outside. Changes in humidity, if they succeed, can be achieved only at the level of small fractions of a percent. 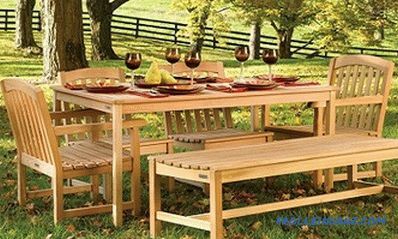 There are several practical and inexpensive ways to organize fresh air in any home. 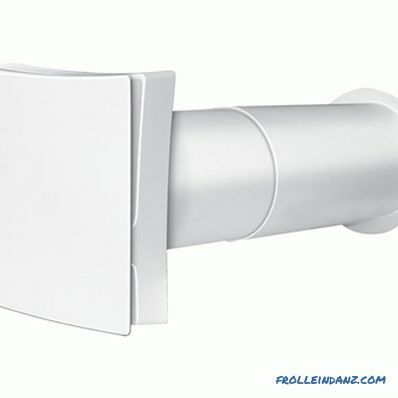 The most convenient and inexpensive installation of wall or window inlet valves. 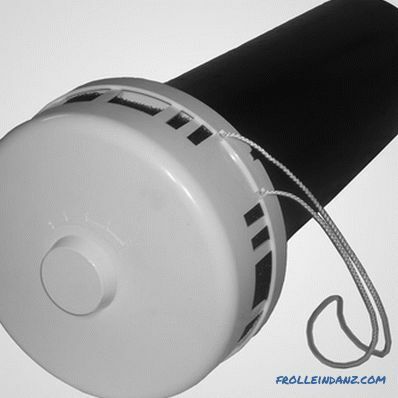 These are relatively inexpensive devices that, moreover, are quite simple to install. 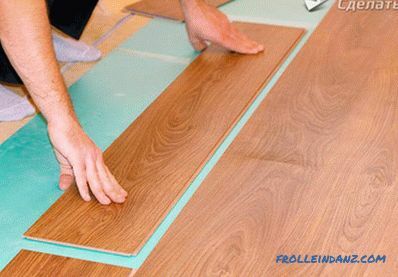 You can try to do it yourself, but it is better to invite experts, especially if the house has recently been renovated. Installation of wall valves requires punching through holes in external walls, which are distinguished by their great thickness and rather high strength of materials. To adjust the amount of incoming air is a damper, which is installed from the side of the room. You can buy both a valve with manual adjustment and an automatic one, the position of the flap of which is set by an electric actuator powered on a hygro sensor reacting to changes in humidity in the room. The performance of wall valves is quite high - up to 50 m 3 / h, in the house they need 1 - 2. With normal adjustment and installation in different rooms, they are able to fully provide the house or apartment with fresh air necessary to maintain a normal microclimate. The valve diameter is in the range from 40 to 130 mm, which requires special equipment for drilling concrete or bricks. And the valve itself, in essence, is an ordinary plastic pipe, closed from the street with a grid to protect it from dust and insects. From the side of the wall, the pipe is protected by a layer of thermal insulation. A number of requirements are put forward for valve installation, which do not belong to the category of obligatory, but if they are observed, the device operates as efficiently as possible. installation from the side of the opening sash. 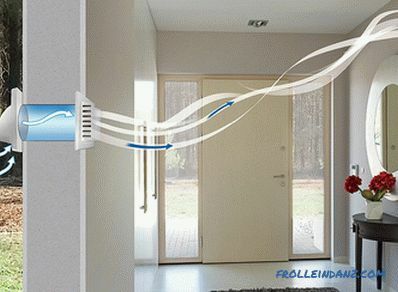 Such distances and the installation method allow you to easily mask the valve with a curtain or a curtain, easily adjust it and, if necessary, clean the external filter by taking it out of the window.Such an operation must be performed at least 2 times a year on the first or second floor and once a year in apartments located above this level - insects and dust rarely rise to the level of the third floor. To protrude from the wall of the valve with air inlets should be no more than 2 cm. This allows you to fully blow off the convection currents from the radiator and level the cold air flow. For effective operation of the device, it is necessary that the distance from the air supply channel to the curtain plane be at least 5 cm. Window valves of the intake ventilation system. 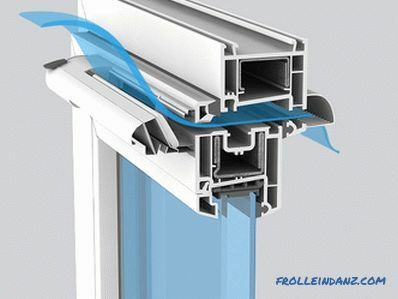 This type of device for adjusting the amount of air entering the house is different in that for its installation it is necessary to break the structure of the window itself. At the same time, the noise insulation and thermal insulation properties of the structure should not be violated. It is best of all if the valves are installed during the window production process - in this case, neither the sash geometry nor its thermal characteristics are guaranteed. There are two types of valves for installation on a window frame - recessed and overhead. The first are installed in the fold of the frame behind the flap and give out their presence only by the presence of slots or openings on the upper crossbar of the flaps. The second ones are noticeable by the protruding overlays on the upper flap and require some changes in the design of the window. Built-in valves are inferior in performance several times in performance, but in small apartments they do an excellent job with their tasks. For large volumes of ventilated rooms, it is better to choose overhead valves, the performance of which is not inferior to wall valves (up to 50 m 3 / h). However, their installation is somewhat more complicated than embedded ones - it is required to make long through cuts in the upper crossbars of the valves (with the exception of a few low-capacity models). They have almost no effect on the level of noise insulation of windows and heat-shielding properties, except for the flow of cold air into the house from the street. But such valves will be able to reduce the temperature in the house hardly more than 1 - 2 degrees. 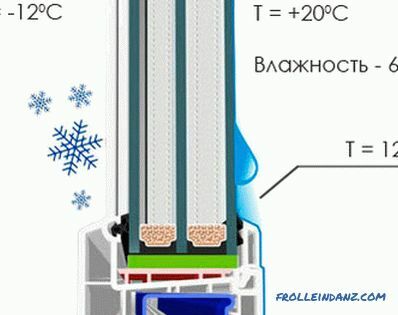 Both types of valves (wall and window) work well at temperatures down to -35 0 С. Theoretically, the lower bar can be lowered and lower, but such frosts are very rare. At T = -20, traces of frost may be observed at the valve outlet. This is not a defect of the device - if too cold and dry air comes into contact with the atmosphere of the house, moisture condensation is inevitable. Threats to the temperature in the room or the integrity of the valve itself does not bear this phenomenon. In most cases, the frost evaporates even without the formation of water droplets on the surface of the window or valve body. You can select the necessary device that is fully suitable for performance and other qualities from the products of almost ten brands. The best among them in terms of price / quality ratio - Aereco, Regel-Air, Air-Box, KIV. Good equipment is offered under the brands Sinax, Domvent, CleanAir. If you add to the cost of installation costs, the price of one device will reach 3.5-4 thousand rubles. Given the virtually unlimited lifespan of their operation, the cost of equipping fresh air ventilation can be considered minimal, which will pay off in a year - two uses. Another important recommendation for choosing devices for intake ventilation is the advice to use the services of professional installers of ventilation systems. They will accurately determine the recommended direction of air flow, based on the configuration of the apartment, accurately calculate the capacity of the valves, help you choose the optimal combination of them. Features of the movement of air flows require taking into account not only the size of the apartment, but even its orientation to the cardinal points. Properly designed project will not only achieve the maximum effect of the system, but also reduce the cost of its installation and operation, as well as avoid the question of why plastic windows are crying. Often the answer to the question of why plastic windows in the house sweat should be looked for even at the stage of ordering windows, their production and installation. Although the elimination of the above factors (high humidity and low temperature in the house) depends on up to 90% of success in combating window fogging, the weaknesses of the metal-plastic structures themselves should not be overlooked. For example, an insufficient thickness of a glass unit or its leaktightness will lead to dew on the glass much more often than even an increase in the relative humidity level in the room. And low-quality profiles in the frame or sash are even more dangerous.Therefore, when choosing windows it is imperative to pay attention to the quality of all component parts of the window and their compliance with the climatic zone. 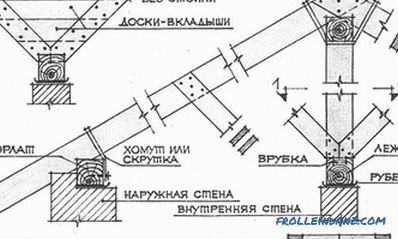 When installing windows in the middle zone of Russia, where the temperature is below - 20 0 C lasts not for a long time, a single-chamber package with a spacer width of more than 8 mm with 4 mm glass is sufficient. If there is a financial opportunity to buy a package with "i" or "K" glass, then you can be doubly calm that the dew will not appear on the internal glass. In the more northern latitudes, a two-chamber glass unit filled with an inert gas is required. Even at -30 0 C, it does not sweat even at very high humidity in the room. The fact is actively advertised that when using krypton, xenon or argon, the thermal conductivity of a glass unit falls almost by an order of magnitude. This is nothing more than a trick of manufacturers. Yes, indeed, the fact of the presence of inert gas instead of air reduces thermal conductivity, but only by a few percent in the case of using ordinary glass and up to 10% with energy-saving. Often the cost of packages filled with inert gases, is not justified overestimated. If usual float glass is installed, it is better to buy double-glazed windows filled with air. Many metal-plastic windows customers are tempted to choose the widest window sill so that it can fit flower pots, various decorative figures and souvenirs, vases or stereo speakers. This may be convenient in terms of practicality and expansion of living space, but it is completely unjustified in terms of heating equipment. Of course, if the wall is wide enough, more than 40 cm, then when the window is 10 cm wide and the slope is 15 cm wide, it doesn’t bother to choose a window sill 20 centimeters wide. In this case, it will not protrude beyond the external plane of the radiator and will not create a serious obstacle to the warm air. The movement of air will not change much, even if the sill plumb and the radiator plane coincide, but if the horizontal plane of the vertical overlaps by more than 2.5 cm, the heat exchange will be broken and more heat will go to wall, without heating the internal glass package. The threat of fogging in this case increases significantly. It is better to choose a narrower window sill, sacrificing excess square decimeters of space, but receiving comfort and warmth in return. And the pots of plants can be installed on a forged stand or a pedestal, placed nearby. When using metal-plastic windows, sometimes there is a situation when condensate does not appear on the glass, but on the window frame. This is more serious than misting. The reason are violations in the rules of installation, which are not easy to fix. The technology of installing metal-plastic windows is regulated by GOST 30971-2002, which takes into account all the requirements for the preparation of the opening, insulation and fastening of windows in the wall. 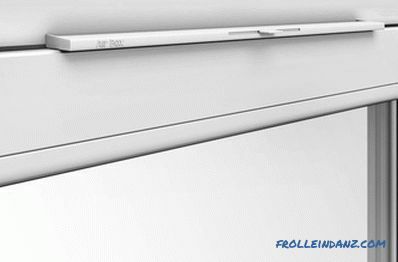 The standard has been developed with the active participation of window manufacturers from Germany, which is the ancestor of these structures. German companies have extensive experience in installing window structures in buildings of various architecture and have provided almost all options for operation in different climatic zones. This is especially true of joints at the junction of the window and the wall. From the inside, sealing of the seam should prevent the penetration of steam into the inside wall space, and from the outside it should allow the release of excess moisture to the outside by free gas exchange. The same applies to the slopes - if the walls have the ability to "breathe", then dew will never appear on the inside of the frame. “Thermal bridges” should also be excluded. Any metal, ceramic or plastic parts should not pass through the entire width of the slope and the layer of foam sealant. 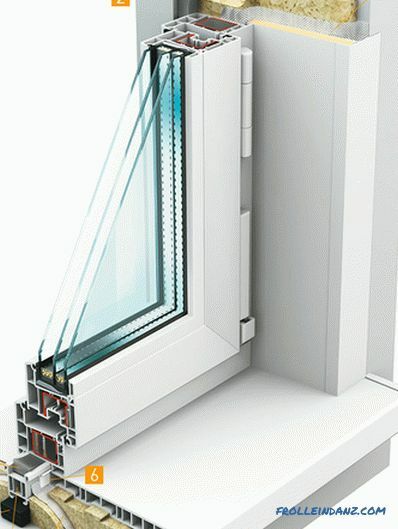 Even with a small cross-sectional area, such inserts can carry more cold inside the room than the entire single-chamber double-glazed window. Even tubes for cable entries must be insulated from the outside with a layer of glass wool or polyurethane foam with a thickness of at least 10 mm. Creating a proper thermal mode in the house, maintaining a normal level of humidity and complying with installation requirements will prevent glass windows from misting over at any outside temperature. But this is possible only with the purchase of high-quality design from a well-known and reputable manufacturer. PVC windows are one of the few products on which saving is not recommended.